Originally published on NPR’s MindShift on May 26, 2016. Teens who read about the personal and intellectual struggles of scientists feel more motivated to learn science. That was the finding of a recent study out of Teachers College, Columbia University and the University of Washington. Why? Many high school students view scientific ability as a fixed traitthat is not responsive to effort. As the researchers wrote: “When students struggle in science classes, they may misperceive their struggle as an indication that they are not good at science and will never succeed.” When students learn about how even famous scientists struggled, they began to see that learning and growing from setbacks is part of a successful professional journey. The researchers noted that published stories about scientists often focus on achievements but neglect mention challenges scientists faced. When Lisa Brennan, a middle school librarian at St. Christopher’s School in Virginia, read about this study in a recentMindShift article, her initial reaction was, “Wow, that parallels theresearch on the connection between fiction and empathy.” She reached out to her extensive Twitter followers to start gathering titles that cover both the achievements and the struggles of exemplary scientists that could be used with older students. 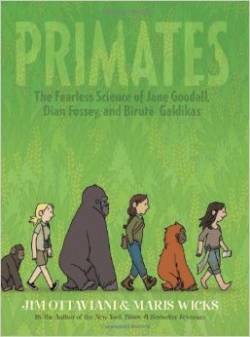 The list below includes rich picture books that could be read aloud to teens as well as graphic novels, short biographies and collections of biographical sketches that teachers could draw on for excerpts. Brennan, Maggie Knapp (head middle and upper school librarian at Trinity Valley School) and Brooke Williams (a former children’s librarian at New Haven Free Public Library) contributed titles to this list. 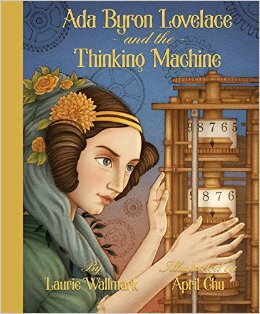 Ada Byron Lovelace was the world’s first computer programmer, creating a coding algorithm years before the modern computer was invented. 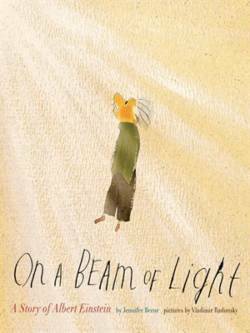 This picture book biography describes how measles left her temporarily blind and paralyzed and how she overcame society’s negative attitudes towards women in the sciences. 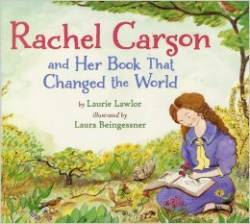 Rachel Carson’s writing and research helped launch the modern environmental movement. 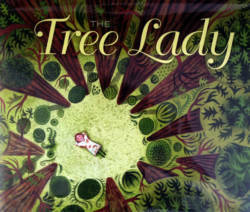 This picture book shares her struggles growing up in poverty during the Great Depression, the sacrifices her family made to send her to college, and the challenges she faced entering a male-dominated field. 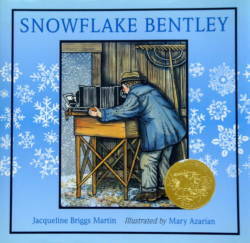 Wilson Bentley was a nature photographer who showed the world that “no two snowflakes are alike.” This picture book describes his unstoppable grit in pursuit of his dream and includes sidebars with more information about the methods and science behind his work. In the seventeenth century Europe — when many thought butterflies were evil creatures that generated spontaneously from mud –entomolygist Maria Merian made her mission to study them. 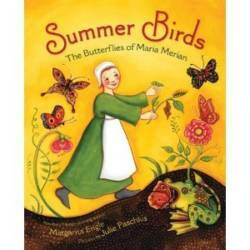 After years of study, she wrote and illustrated a groundbreaking book about the life-cycle of a butterfly. 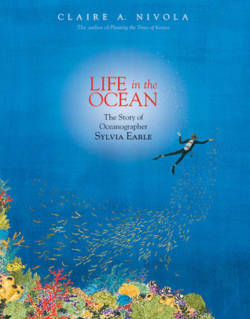 This picture book describes how she conducted much of her work in secret because of the negative perceptions around this insect. 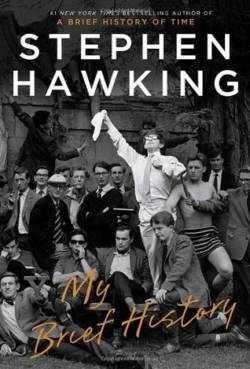 At 144 pages, this brief memoir is broken into several small chapters in which theoretical physicist and cosmologist Stephen Hawking writes about his childhood, his research and – of course – his life with ALS, which gradually paralyzed him over the course of decades and required him to develop compensatory methods for engaging in his research. Teachers could use or read aloud excerpts of this compelling autobiography. 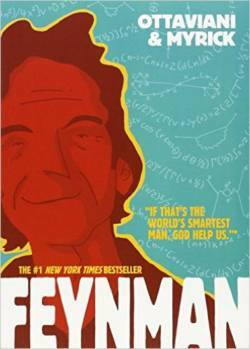 Written for teens, this graphic novel vividly portrays the life of the vivacious physicist Richard Feynman. It captures his tenacity in the face of trying circumstances — from working on the Manhattan project to uncovering the cause of the Challenger explosion to caring for his ailing wife. 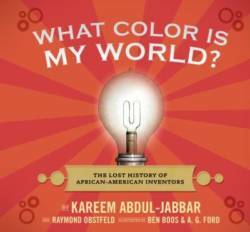 This collection features several short life-sketches of African-American inventors – from Henry Sampson (who created the gamma-electric cell) to Percy Julian (who synthesized cortisone from soy). The stories emphasize the perseverance of these inventors in the face of racism and other life challenges. 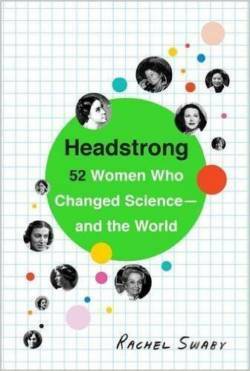 These short biographical sketches average four pages in length – an easy read aloud – and highlight female scientists in the following fields: medicine, biology and the environment, genetics and development, physics, earth and stars, math and technology, and invention. 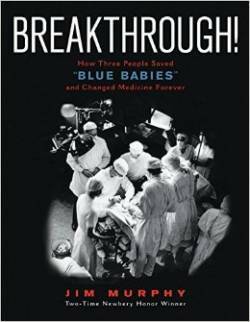 Several stories note obstacles they faced, including gender bias, illness, and family disapproval. 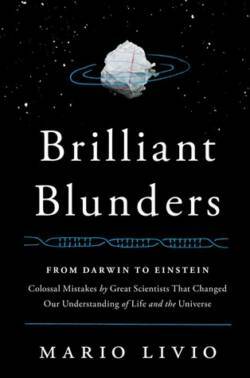 In this 300+ page book, astrophysicist Mario Livio draws on the lives of five scientists (Charles Darwin, Lord Kelvin, Linus Pauling, Fred Hoyle, and Albert Einstein) to show how great progress often comes in the wake of “colossal mistakes.” This is a great resource book for high school science teachers who want to infuse their classes with stories about how can setbacks set the stage for progress — if we let them. Bonus Resource: The PBS/NOVA web-series, The Secret Life of Scientist “provides a humanizing snapshot of scientists who are shaping our world.” Each episode profiles a contemporary scientists in three or four discrete, one-to-three minute video clips. The site is searchable by topic and includes blog posts and a teacher’s guide.